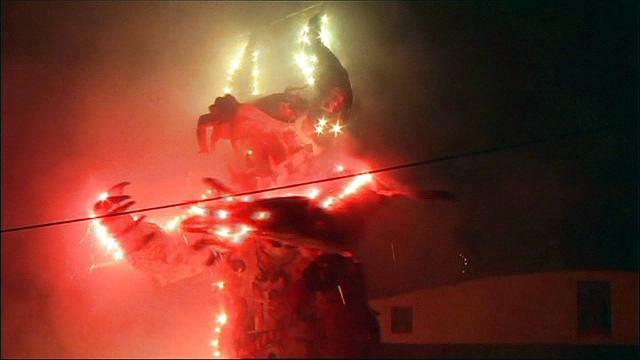 Every Easter, Mexicans join the Catholic tradition of burning effigies of Judas in communal bonfires. But in the Santa Rosa Xochiac village the tradition has taken a more pagan turn, where the customary "Judas" effigies have been transformed into huge fantastical beasts called "Chimos". Villagers say the custom represents killing all the evil of the past year so that only the good remains. Al Jazeera's John Holman reports from Santa Rosa.